As House of India enters its 13th year, the award-winning Indian restaurant, in the heart of Columbia, continues to be instrumental in changing perceptions of the subcontinent's cuisine. 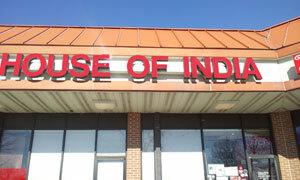 Let House of India cater your next party. We provide full service catering and Party Tray for all occasions. Read more..
Now you can order online for delivery or pickup. Online order and delivery is provided by a third party.Read more..
Its lively atmosphere, generous portions, and highly attentive service make Flavours of India an ideal destination for a special occasion dinner. Read more..